Said I Never Had Much Use For One. Never Said I Didn't Know How To Use One. 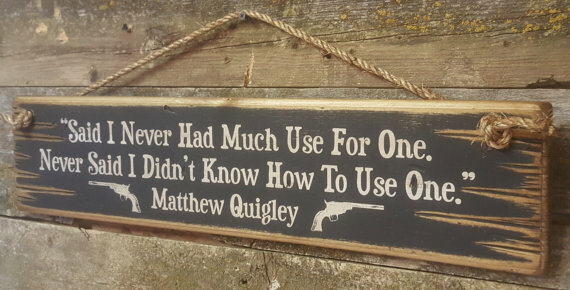 Matthew Quigley, Quigley Down Under. 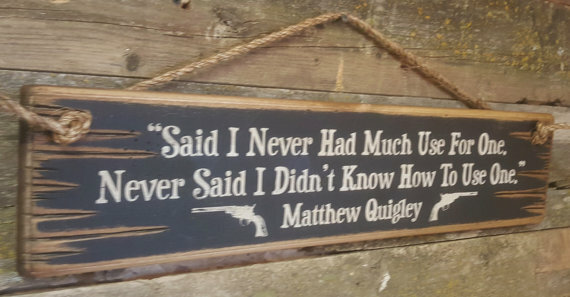 Matthew Quigley explains this after the pistol duel that kills his former "boss." This black background sign measures 5.5x24 and comes with the grass rope hanger for easy hanging. Handcrafted with pride!